Based on a church located in Longmont CO. 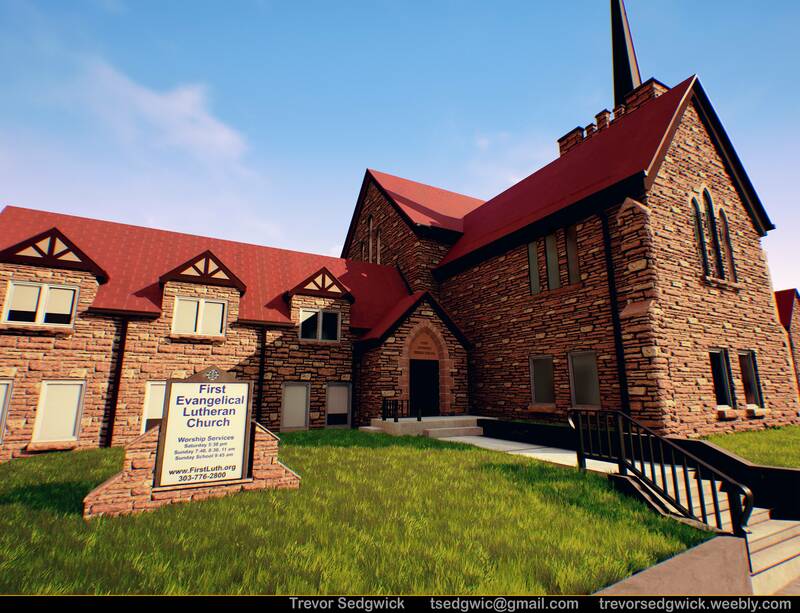 I used photographs and an overhead Google map image as references to build the model. I used modular pieces and tiling textures for the majority of the model. I used xNormal to bake (normal, AO, cavity) maps from either sculpts or modeled pieces. Final textures were created using Photoshop and Quixel Suite. 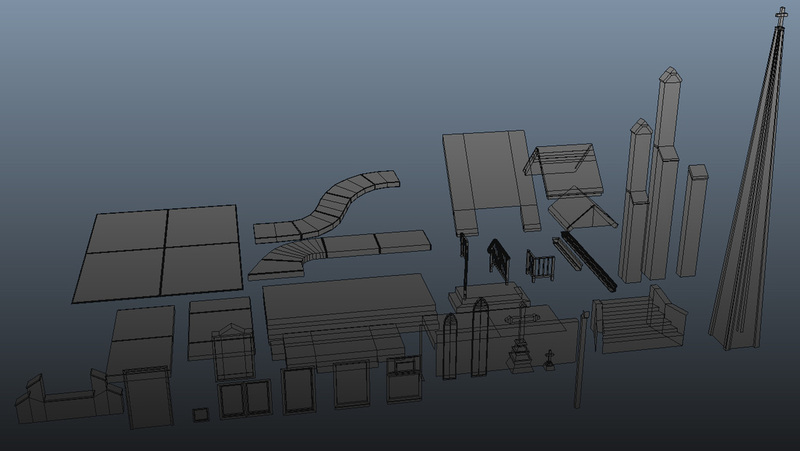 Everything was brought into UE4 and assembled.